OLD PARKED CARS. 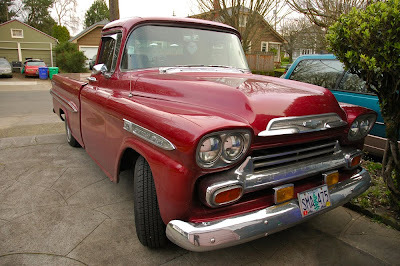 : 1959 Chevrolet Apache 32 Fleetside. 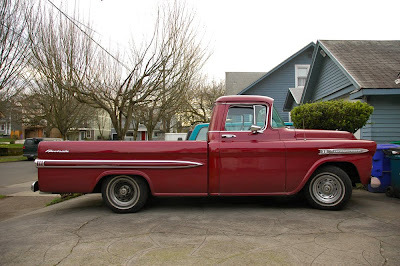 1959 Chevrolet Apache 32 Fleetside. 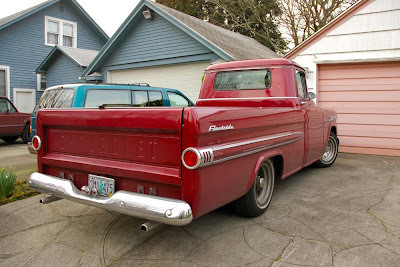 The box on this...in my opinion the best looking on any truck ever made. this thing is indeed a beaut, anon. I don't know about the super-level stance, though. it's amazing, but can't be factory, right? someone has either lowered it for style, or it's just the effect of an inclined driveway. either way, whatever, I'm saying I like it. 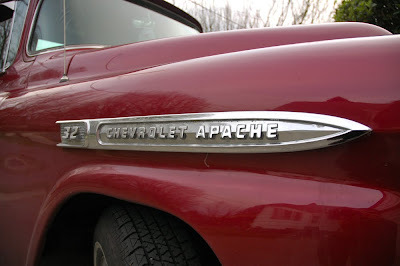 what does the "32" stand for?? What does 32 stand for?